It’s no secret that I love a good side hustle! Simply put, a side hustle puts more money in your budget. When you have a goal and direct extra income towards the goal…. Cha Ching! You CAN reach your goal. In 2014 I made over $4,500 side hustling! Last year, I limited my side hustling to primarily mystery shopping and panel studies, and earned more than $2,000. I am excited to see how much I can earn this year. I even wrote a course about how to exactly side hustle and make more money. That's why I decided to create a side hustling challenge for myself. I want to see how much extra income I can make in the next 12 months. I reached out to some fellow bloggers and asked them for their thoughts about side hustling. I love reading about what goals other people have. This helps me stay motivated to work hard! What is so great about a side hustle anyway? What are your Side Hustle goals for 2016? “I have been doing a lot of hustling in the past couple of years and 2016 is a year of rest for me. 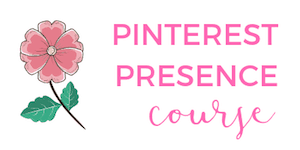 I will be cutting back on hours at a second job and some of my current side hustles in order to focus my efforts on bringing in an income from blogging. 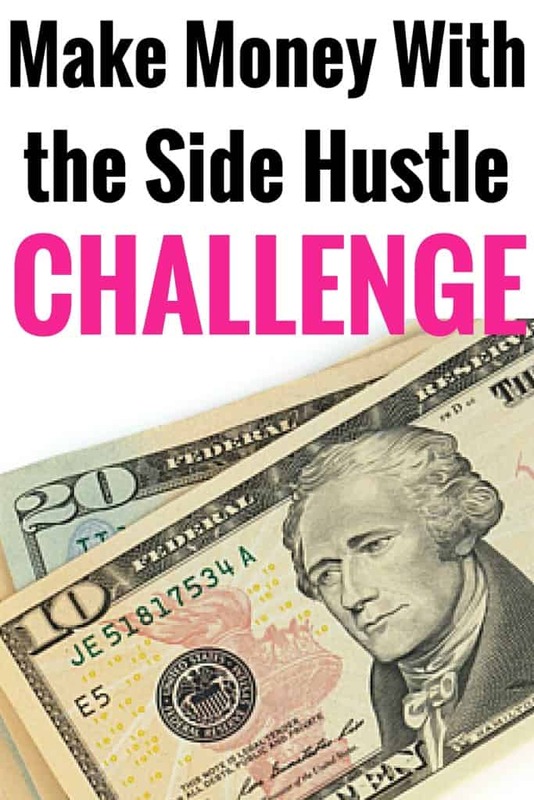 The Side Hustle Challenge! Join Me! What is my personal side hustle challenge this year? This year I plan to seek out extra income each month through mystery shopping and panel studies. I am saving for #FinCon16 and planning a couple of mini vacations, so any extra money I can put towards these goals would be amazing. Don't forget – one of the best ways to make money is from blogging. 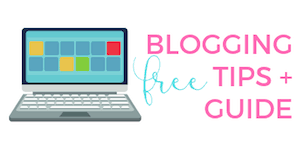 I made over $13,000 in only 10 months – as a newbie blogger! If you are thinking about starting a blog, don't delay. Blogging changed my life for the better and has become an amazing way to make money. Here are some extra ways to earn income! I am so curious to know what all of you are planning for 2016. Will you continue a current side hustle? Try a new one? I lost my full time job in April of last year and am having trouble finding another job. I have made the decision to turn to side hustles to bring some money in. We are VERY blessed and can live on the income my husband makes, but only because me made some very hard choices earlier and got out of debt, so my side hustle money will be for extra like home repairs, vacations, and all the little extras that we want. I have one busineman that I do data entry and bookkeeping services for once a week, I plan to start a blog, something that I have always been interested in but the 50 to 60 hour work days prevented, try my hand at virtual assisting, make diaper creations to sell, dog walk and dog sit. I have tons of paperback books that I am going to sell, sell items on ebay and the local garage sale sites of facebook.I am willing and able to clean house or organize rooms, offices, and schedules. There are so many things out there and I am open to so many new possibilities that never thought of when I worked 9 to 5. Losing my job may just be the best thing that has happened to me. I love your enthusiasm!! Losing a job can be tough (it’s happened to me too) and I like how you are creating so many opportunities for yourself. You are just like me – a total side hustler, love it! Can’t wait for you to start a blog so you can tell us all about these great things you are doing. My big audacious goal is to bring in $30k from my blog and side hustles. That sounds totally crazy, but I know it can be done. Now to just buckle down and Do. The. Work. This year I’ll be taking side hustles more seriously! As in actually going out to pursue side hustles more intentionally 🙂 My goal = $500-1000 of “non-job” income. 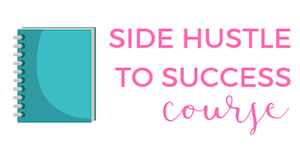 I think I’ve read enough about side hustles from you and other bloggers to drive home the awesomeness of having a side hustle. 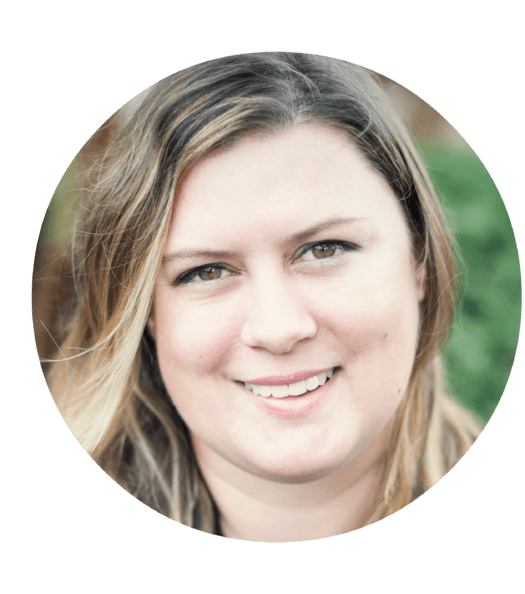 Kristin, thank you for featuring me in your Side Hustle Challenge! I better get working on my e-book since it’s now public knowledge. All the best with your side hustles for this year. My recently started tracking and reporting my side hustle income on my blog. Last year I made nearly $4,000 (3,980 to be exact) side hustling and this year my goal is to have made or exceeded $5,000K! If successful, I should be able to completely eliminate my credit card debt and begin tackling my auto loan debtS (yes there is 2). I’m also considering starting another online business in a different niche that I have much more experience with but not as much passion. Wish me luck with that.